Get ready for gaming events, sports meet, adventure, innovation, togetherness and enjoy your best outdoor sporting events in Dubai. Get ready, set, and go as we organize everything from A to Z, making sure to deliver most wonderful outdoor sporting events, gaming events and sports meet in Dubai. Whatever was the activity, we can organize and run the entire event – all you have to do is to feel free and enjoy the day with your guests. Depending on your activity purpose, and the theme you suggest, we will work collaboratively doing wonders so as to satisfy your needs and emit highest of standards to your outdoor sporting event, gaming events, sports meet in Dubai. Make an impression and create a day full of fun for your guests. Go for an outdoor sporting events, gaming events and sports meet in Dubai especially when the weather is pleasant, and plan a day full of activities, this will definitely encourage bonding and bring all the attendees together in a full adventurous day that is unforgettable. 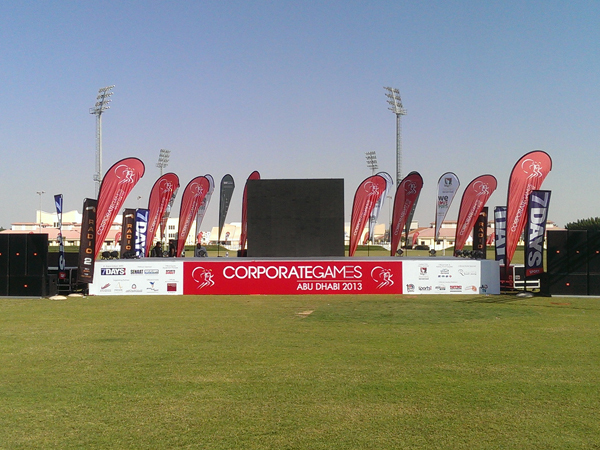 There are plenty of ideas and reasons for you to plan an outdoor sporting event, gaming events and sports meet in Dubai. It might be a special holiday, and a family reunion with youth and kids, it might be to thank a team or just to gather and make life an ideal place, it is indeed an ideal way to build a team spirit, and above all to plan a professional sports event… Whatever adventurous day you have in mind, our experts have what it takes and know exactly all comprehensive details to make such enjoyable events a true success. Get ready for an outdoor sporting event, gaming events and sports meet in Dubai, and just head assured that you and your attendees will have the best possible time ever.